Mason Pest Control provides quality pest control and termite management solutions to the local South East Brisbane and Redlands City area. A local family business looking after local families and their homes. As a small family business, we operate our business with traditional family values, and are committed to offering personal, friendly service and quality pest solutions that will protect your family and your home. With 20 years experience in pest management, we have found Termidor to be the most reliable and cost-effective solution for successful termite management. As an Accredited Termidor Applicator, we specialise in Termidor Termite Treatments. Before we recommend any treatment, we always conduct a thorough termite inspection. Keeping your home free of cockroaches, spiders and ants is important to your health and your home. Long lasting pest management requires the combination of good home upkeep and regular pest treatments. Using the latest Synthetic Pyrethroids sprays ensures the best results for you and the environment. Our standard treatment includes internal, external and the roof void plus a 12 Month internal Warranty. We operate our business under the guidance of traditional family values. As a client of Mason Pest Control, you can expect that we will treat you, your family and your home as we would our own. As a family business, the people you see on this website are the people you will see and meet when you enquire and make a booking with Mason Pest Control. We regularly attend training courses to ensure we are using the latest skills, techniques, products and technologies. Our priority is to use products that are both highly effective and safe for your family and the environment. 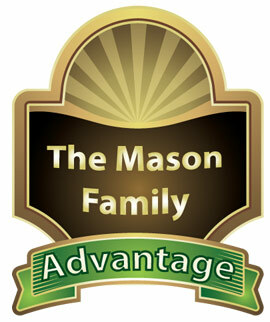 Mason Pest Control is fully licensed and insured, giving you added peace of mind. Call 07 3245 2420 to arrange an inspection. About twelve years ago white ants infested our place at Cleveland. We’d never had them before in the previous 30 years we’d been living in our house. Over a period of about five years we had three different pest controllers in but the white ants kept coming back. About six years ago we got Mason’s Pest Control in. They did a treatment and it seemed to work. They monitored it for us over a period of years and have done a follow-up treatment since. We are now confident enough to start our repairs on the house.